Simply. Pretty. Says it all. 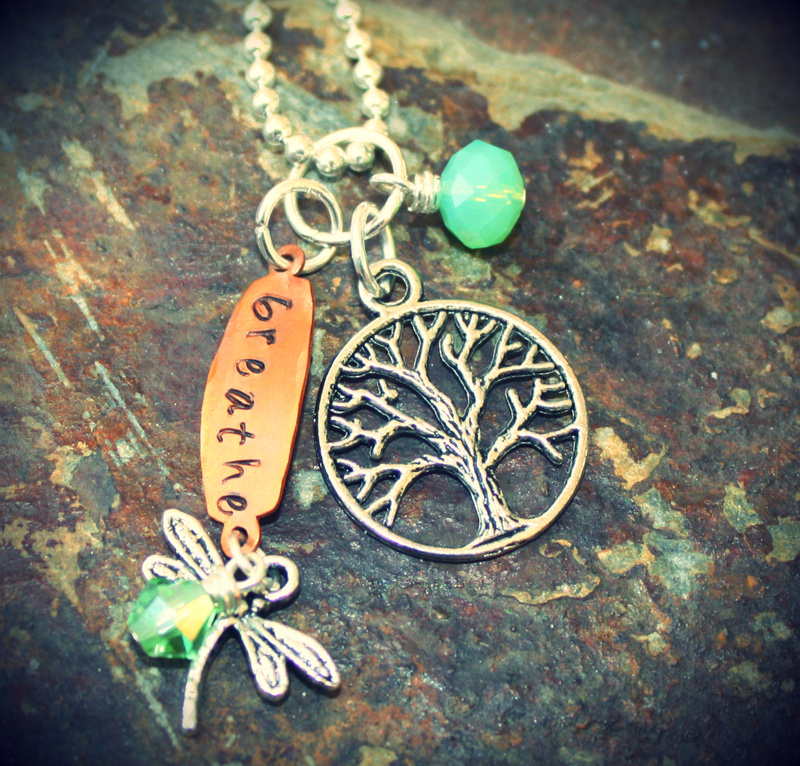 A breathe charm with dragonfly and crystal hanging off and a Tree of Life Charm with sea glass charm. 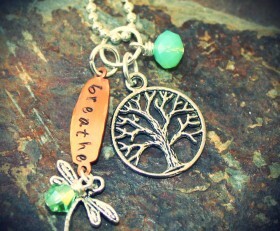 We call it Breathing Life. You can choose a different color crystal before checking out.